After the negativity of the last two posts I think it’s only right to celebrate a brighter period of Inter Milan’s history today. The Nerazzurri are true giants of modern calcio, but their historic success has typically come in sporadic bursts. Inter haven’t always been as dominant as they are today (the 1990’s were particularly barren), but they’ve had some great teams over the years and none are more decorated than the Internazionale of the 1960’s. It started in 1960. Inter hadn’t won a championship since 1954 and had gone through three managers (Aldo Campatelli, Camillo Achilli and Giulio Cappelli) in the 1959-60 season. 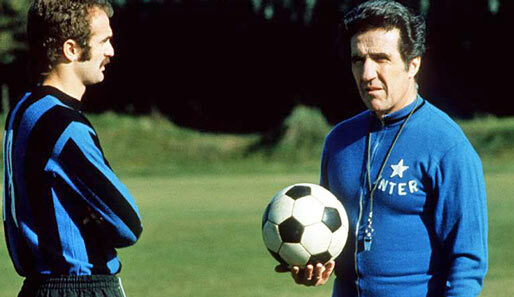 Seeking stability, the Nerazzurri turned to Franco-Argentine coach Helenio Herrera who’d just won consecutive Spanish titles with Barcelona. European Footballer of the Year Luis Suarez (no, not that one) followed Herrera from Barcelona and became Inter’s chief playmaker for most of the decade. The Hispanic influence didn’t reap immediate rewards and Inter finished third and second in Herrera’s first two seasons in charge. 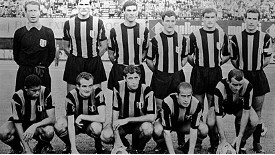 The Nerazzurri continued their improvement in 1962-63 by winning Serie A. 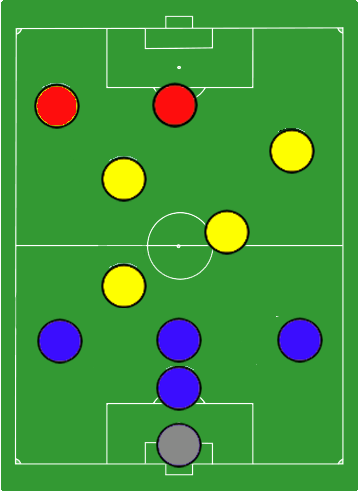 Using Herrera’s refinement of the Catenaccio system, Inter went from strength to strength. Of course, it helped that they had some of the best players in the world to call-on. Suarez aside, Armando Picchi was one of the era’s biggest stars. Often referred to as “the first of the liberos,” Picchi was a pioneer. A wall of a sweeper, Picchi was Inter’s spare man at the back for years and always there to mop-up opposition attacks. The liberos who followed him might’ve played with more grace, but Picchi’s supreme anticipation, vision and sense of position allowed him to snuff-out attacks with great efficiency. The Livorno-born player made 257 appearances in seven years with Inter, and, as Il Grande Inter’s captain, his contribution will never be forgotten. Full-backs Giacinto Facchetti and Tarcisio Burgnich were equally pivotal with Facchetti in-particular leaving a lasting legacy on the modern game. Possibly the world’s first attacking full-back, Facchetti is rightfully remembered as one of the all-time greats. He dedicated his entire career to Inter, making 629 appearances between 1960 and 1978, and later joined the Nerazzurri board. Brazilian Jair enjoyed two spells in Milan and was a key player despite never breaking through at international level, and inside-right Sandro Mazzola became a legend with the Nerazzurri. Inter were mostly known for their excellent defensive work at the time, but Mazzola still notched 116 goals in 417 league appearances despite the pragmatic nature of Italian football at the time. These players and more reached the 1964 European Cup final. Inter were to meet a feared Real Madrid side that had reached seven of the past nine finals. The above players lined up alongside Giuliano Sartri, Carlo Tagnin, Aristide Guarneri, Joaquin Peiro and Mario Corso as Inter, the underdogs, scooped a 3-1 win. MazzoIl Grabbed the headlines with two goals in the final and Il Grande Inter’s legacy was well on its way. Further European success followed in 1965 when Inter met Benfica in the final. A lone Jair goal was another to seal Inter’s second consecutive European Cup win in a season that also saw them win Serie A. Another domestic title followed in 1966, but it wasn’t long before the wheels fell off. 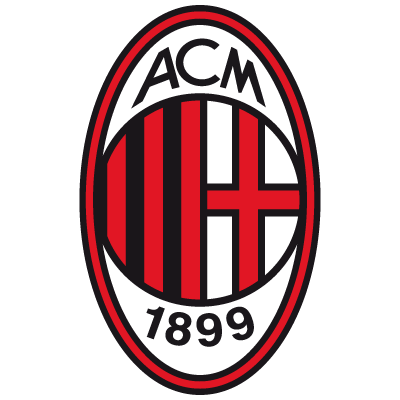 Inter failed to win a major trophy under Herrera after 1966. The 1967 European Cup final can be seen as a turning point. Inter faced-off against Celtic’s now-legendary Lisbon Lions with Jair sold, Facchetti fading and Suarez injured. The Nerazzurri lost-out to Celtic’s breathless attacking display, and erratic results during the 1969-70 saw Herrera sacked. Three domestic titles and four European trophies (including two Intercontinental Cup wins) in four years is a record any team would be proud of and Il Grande Inter have earned their place in history. The Nerazzurri conceded an average of less than a goal a game under Herrera: their defence is legendary, and it’s something I’ll be exploring in an extended piece tomorrow. Sadly, like the “great” Inter side of the 2000’s, Il Grande Inter’s legacy has been tainted by controversy. British newspaper The Times reported in 2003 that then-president Angelo Moratti had Hungarian referee Gyorgy Vadas in 1965 in an attempt to fix a European Cup tie with Malaga. There’s no doubt that this was an excellent side but their legacy has been severely tainted by these allegations. As if match-fixing wasn’t bad enough, ex-player Ferruccio Mazzola alleged that the use of illegal performance-enhancing drugs was rife at Inter in the 1960’s. Chairman Massimo Moratti and president Facchetti (among those implicated by Mazzola) immediately sued. Mazzola won the case in 2010, and it’s very telling that Inter decided against appealing. I’m no lawyer, but this suggests guilt to me. It’s probably no coincidence that these allegations rose under the ownership of Angelo Morrati and that Inter’s next big scandal (Calciopoli) came about under Angelo’s son’s (Massimo) stewardship.